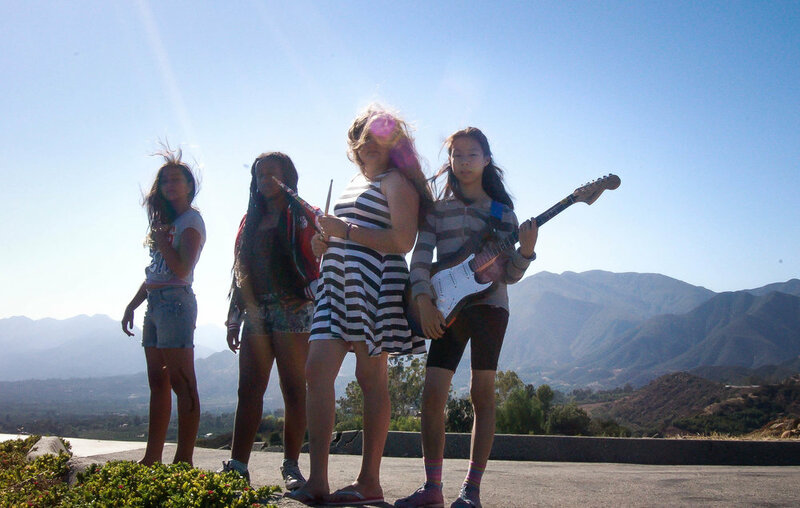 Girls Rock Camp Santa Barbara is a day camp where girls ages 7-15 explore the joys and challenges of collaborative music-making while guided by inspirational female mentors. In one week, campers form bands, write an original song and perform live. Each day kicks off with punk-rock-yogaerobics to get our bodies moving, an inspired rendition of the camp theme song “Boom Shaka Laka” and a hilarious yet educational skit by the Famous Rock Camp Skit Time Players. The Music Track: Choose one instrument (vocals, guitar, bass, drums, or keys), form a band, write an original song, and perform it at the Friday afternoon Showcase. 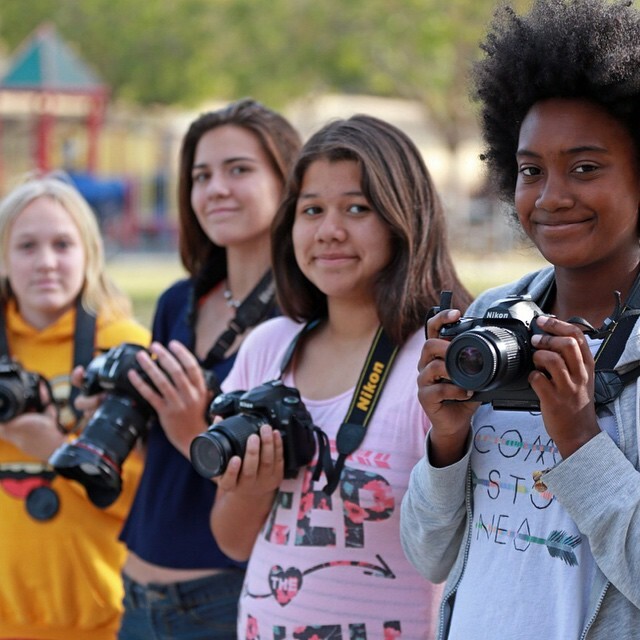 The Photography and Film Making Track: Girls learn extensive photography and film making skills. Highlights include filming and directing a music video and learning photo editing. Each student will have an opportunity to have their piece published online and to start building a professional portfolio. Please Note: This program is only available to our teen campers ages 12-15. The Journalism Track: Learn the ins and outs of journalism. Each student will have an opportunity to have their piece published online and to start building a professional portfolio. Please Note: This program is only available to our teen campers ages 12-15. Since we have a limited number of Spaces, most parents enroll their children in camp months in advance to ensure a spot. We realize that situations arise (i.e. illness, family emergencies, change of plans, etc. 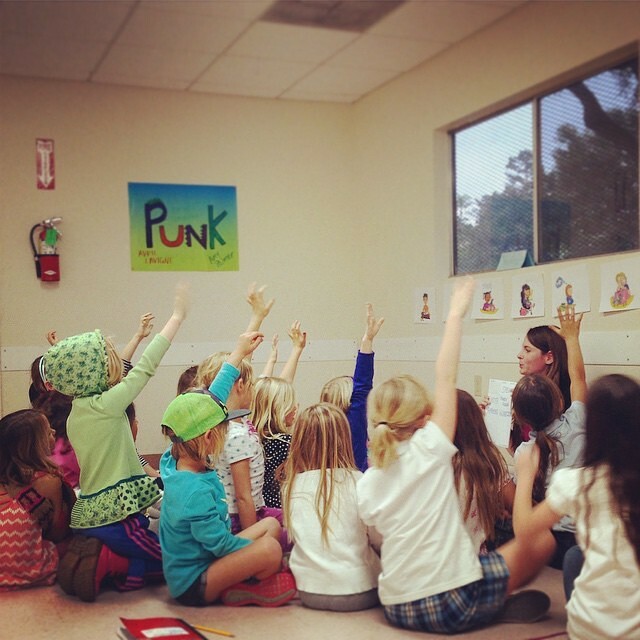 ); therefore, Girls Rock SB is happy to offer a camp cancellation insurance program that must be purchased at the time of enrollment. Morning sessions consist of group instruction in the instrument each camper has been assigned for the week and a workshop. Workshops at camp may include designing and screen-printing camper band t-shirts, songwriting, self-defense, zine-making, recording, media literacy, and more! At lunch, a guest artist will take the stage to perform, talk about their work and take questions from campers. After lunch, campers have plenty of time to jam and write and rehearse their band’s song. Any girl between the ages of 7-15 is encouraged to apply. Prior music experience is not required. All instruments are provided.